Manuela was a banker in sales for more than sixteen years when her dream of owning a house was finally brought to life. 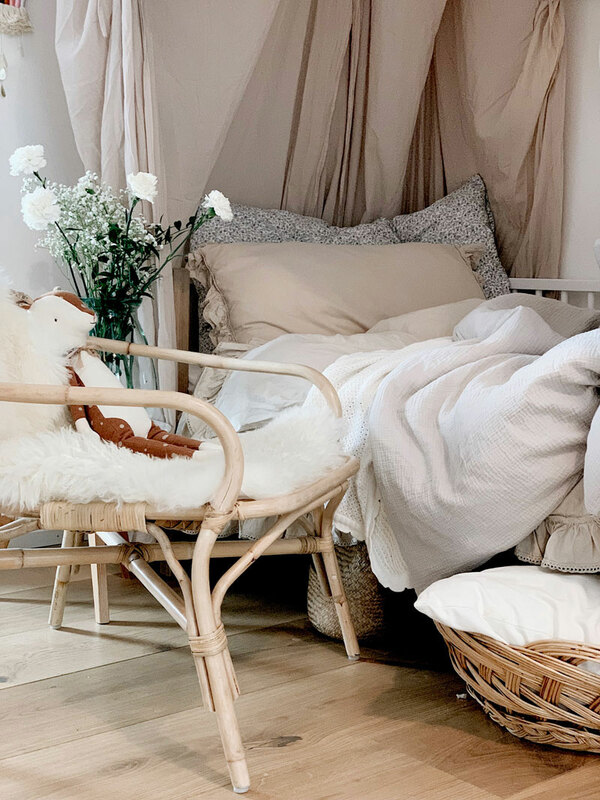 Bright and open rooms with large window fronts in Zurich became a new family home of five (two girls, one boy, and their loving parents) where mum Manuela finds a sheer joy in putting together cute little nooks for her children. 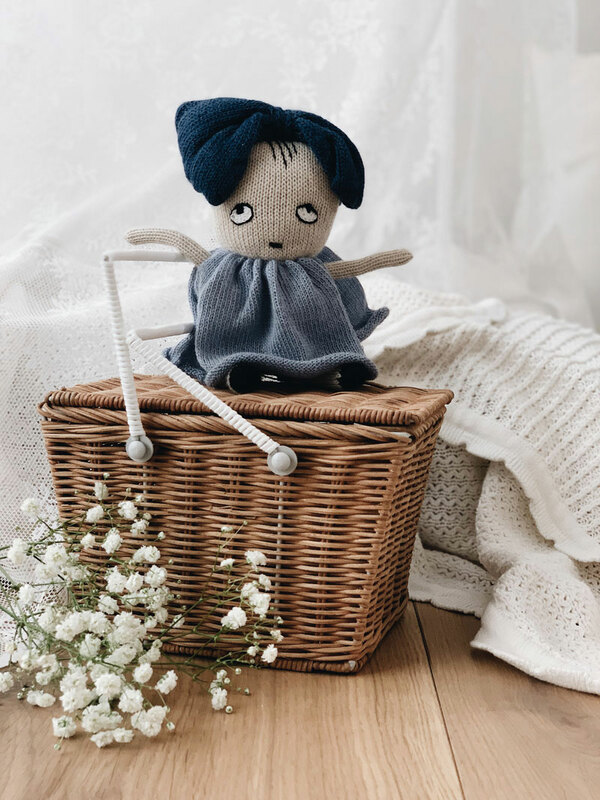 Manuela loves the fact that the room is very comfortable with so many small cosy corners perfect for a tinny bookworm but at the same time, it encourages playtime. 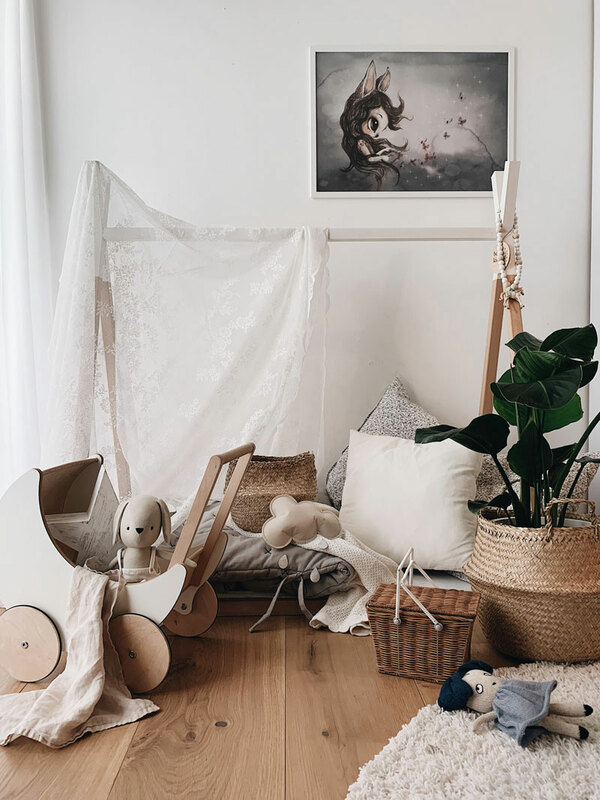 Stunning wooden floors in kids’ rooms show just how much Manuela appreciates being surrounded with quality, natural materials. 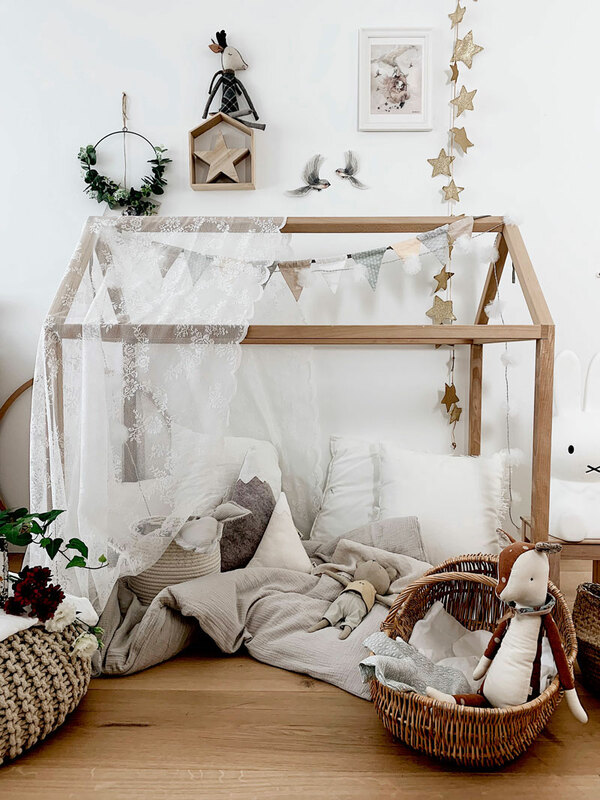 “I like neutral colors, soft fabrics and wood. I believe that the furniture shouldn’t be too colorful, because the toys are already colorful enough,” Manuela says. 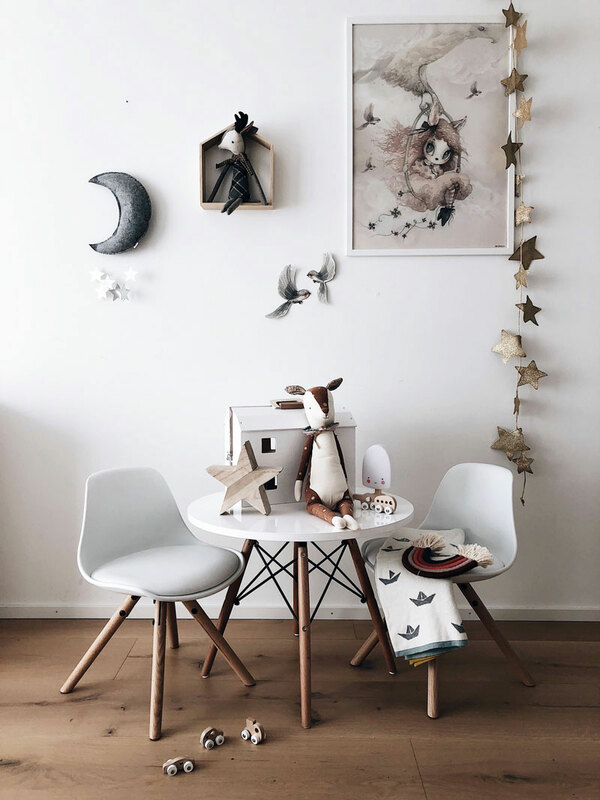 All the furniture in this room is neutral which makes it easy for Manuela to play with colours and accessories. 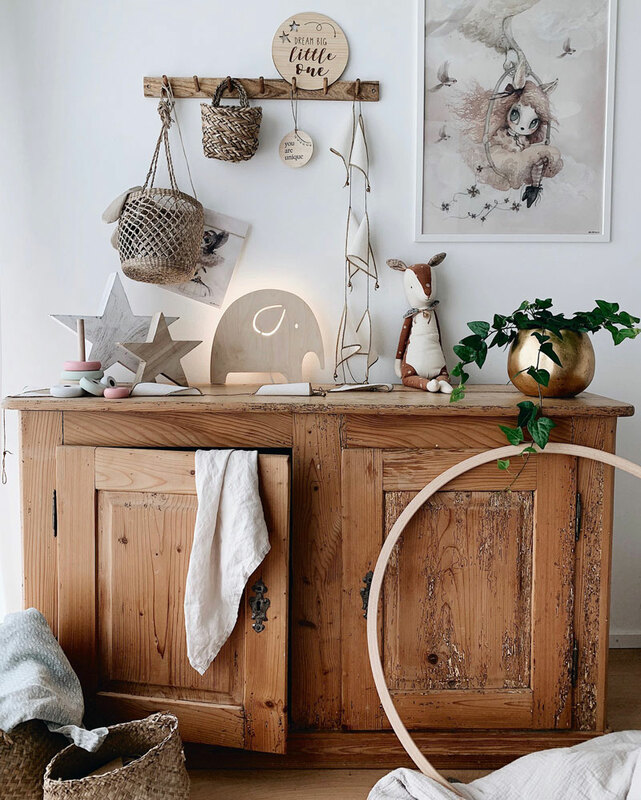 Mixing old with new is her favourite decorating trick and you will often find her at the flea market unearthing beautiful furniture and decor treasures. 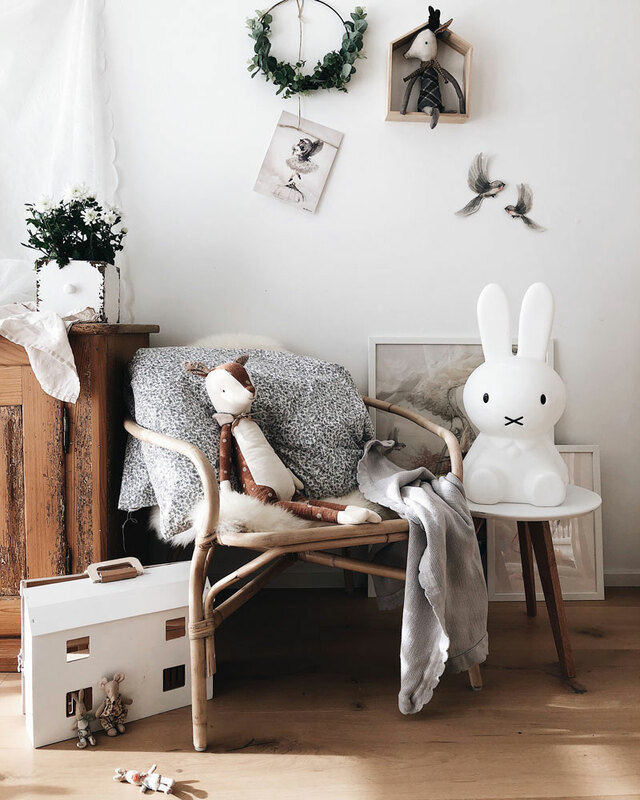 Buying vintage furniture and repainting it is one of her dearest hobbies, but she also enjoys painting over the walls and wooden toys. “I like mixing vintage and modern. If there was only new and modern furniture in it, I would find the room too sterile,” Manuela explains. With so many large windows, there are not many walls left for decorating and, even more importantly, for storage. But with so much daylight inside the room, they can’t complain. There are plenty of large storage bags, so all the toys can find their place to hide when not being used.